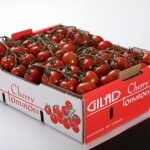 Cherry tomatoes OTV in a bulk packaging. 40X30X10 box. Cluster with fruit Continuity, uniform fruit size & color. Two layers of threads with min. 4 fruits in a cluster. Breaking color to light red. 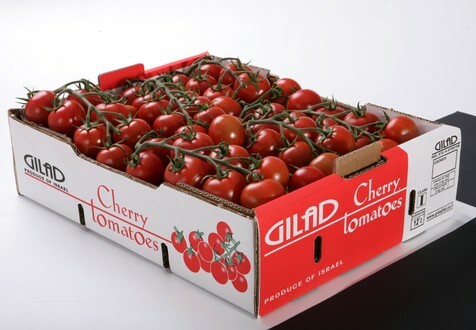 3 Kg + box weight + Depreciation 90 Gr. 10 box in a layer X 21 layers = 210 box pallet. 3 covers, 4 corners raped with 4 bands.